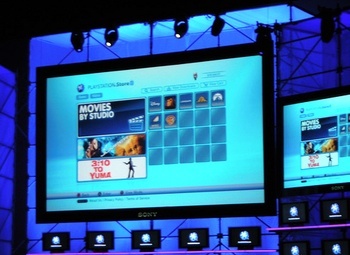 The version of iPlayer optimized for the PlayStation 3 has been given a major update that delivers improved video quality and a User Interface designed for High Definition televisions that operate up to 1080p. That explains why Sony’s recent advertising blitz for the games console is pushing the Beeb’s UK-only TV catch-up service pretty hard, along with the company’s own video download service that only recently launched this side of the pond. However, it seems that I’m in the minority, if the company behind VidZone is to be believed. The service is a hit with the major record labels, meaning that it’s presumably resonating with consumers too, its co-founders tell GamesIndustry.biz. After starting off by having to persuade the major labels to license their music videos to the service, VidZone says that the music industry is now knocking at their door. Users who are complaining that they can no longer access the online video site Hulu on through their PlayStation 3’s web browser are being given an official explanation. The short version: it’s not Hulu’s fault per se but the result of keeping content owners, who don’t want the service to compete with revenue generated by traditional television distribution, happy. It’s not the first time that YouTube has rolled out a version of the video sharing site designed specifically for viewing on a television but the application’s been given a polish and a new name to boot. Now called ‘YouTube XL‘ the new version of the site features a ‘ten foot’ User Interface designed for viewing on a TV or large screen monitor, which despite running in a web browser, TechCrunch describes as having the look and feel of a ‘native application’. 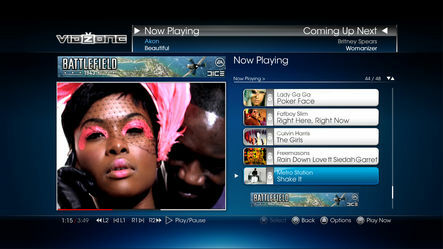 Like the previous version of YouTube optimized for the living room, XL is supported on both the PlayStation 3 and Wii games consoles, though the video quality is compromised on the Wii due to its limited processor and support for an older version of Flash video. 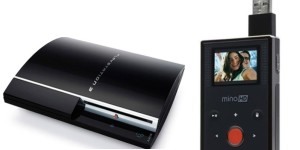 It’s looks like Sony may finally be getting serious about its download service for the PlayStation Portable (PSP), with the company considering a subscription-based game rental offering and a la carte music downloads akin to the iTunes Store. A much overlooked feature of Nokia’s Nseries smartphones is their ability to share media with other DLNA-certified devices. 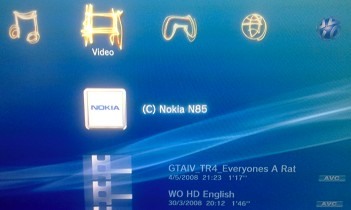 In fact, DLNA certification in general is marketed very poorly considering that it goes someway to reaching the holy grail of home media whereby various devices – computers, cellphones, games consoles, hard drives, media streamers and other hardware – can all play nicely together to share and stream media around the home. That’s the aim anyway, although in practice not only is DLNA’s messaging underwhelming, but issues such as copyprotection and varying support for different file formats have held back the technology, which, as I’ve previously noted, offers so much promise. Anyway, back to Nokia.